By Executive Director Stephen Bobella Jr. It is with a very heavy heart that I announce the death of Mr. Cliff Ulrich. 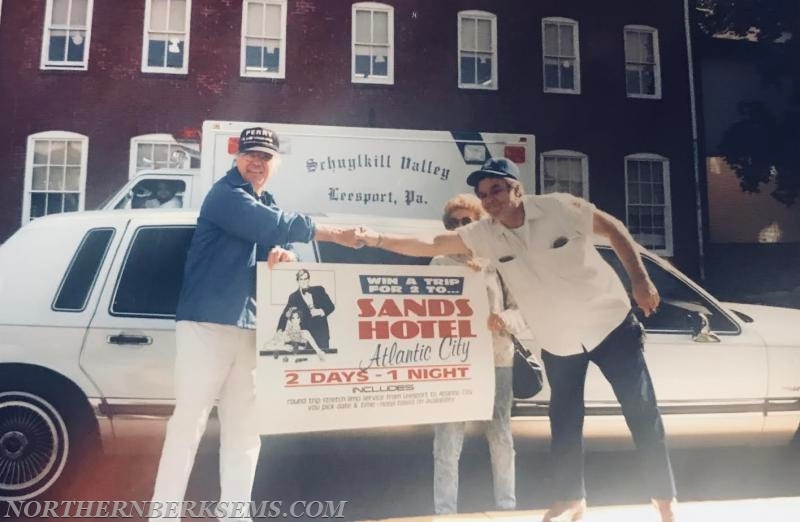 Cliff was a life member of the Schuylkill Valley Ambulance Association. For those of you that had the same pleasure as I did to run with Cliff, we will always remember his sense of humor and more importantly his dedication to our organization and the Community he served. Day and night you could find Cliff here at the station making sure that the unit was equipped and ready to go. I had the pleasure of running with Cliff many times during his Volunteer EMS Career. During that time I also had the pleasure of meeting his family. His Sandwich Shop was a favorite to all staff for breakfast and Lunch. Cliff organized various fundraisers for our organization and his dedication played an important role in where we are today. Although your time here has ended we know you will be watching from above. Although we may be sad for your passing your memory will live with-in this organization forever. 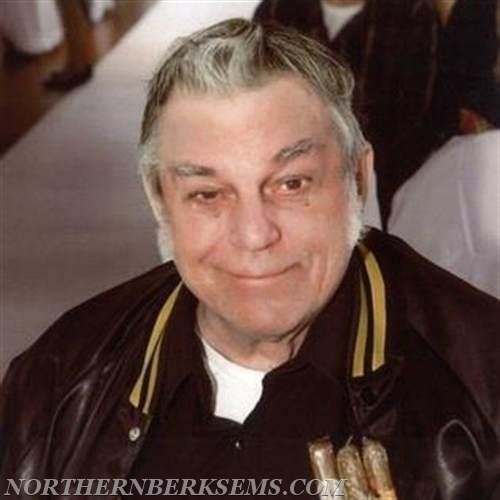 Clifford J. Ulrich, Jr., 79, of Shoemakersville, died Friday, October 6, 2017 in Penn State Health St. Joseph Medical Center, Bern Twp. He was the husband of Shirley M. (Miller) Ulrich. They were married April 4, 1959, and celebrated 58 years of marriage. Born in Reading, he was the son of the late Clifford J. and Alice M. (Manmiller) Ulrich. He was a United States Army Veteran. Clifford was self-employed owning and operating Ulrich's Contracting from 1963-1969, and later Ulrich's Sandwich Shop, Shoemakersville from 1980-2016. In between his self-employment, Clifford was a truck driver, driving for Lentz Milling in Reading for about nine years. He was a life member of Shoemakersville Fire Company, and Schuylkill Valley Ambulance. He was also a member of Union Fire Co.
No. 1 of Hamburg, and Leesport. Clifford drove ambulance for Blandon Ambulance and fire truck for Shoemakersville Fire Company. He was past president of the Blue Mountain Pool League and the Northern Berks Dart League. In his early years, he was the Golden Gloves Champ of Philadelphia in amateur boxing. Clifford enjoyed collecting things, and will be remembered as one of the original "pickers." Surviving in addition to his wife are four sons: Dennis S. husband of Debbie C. (Kaiser) Ulrich, Ontelaunee Twp., Scott A. husband of Karen M. (DeLong) Ulrich, Leesport, Kevin C. husband of Tara S. (Adams) Ulrich, Tilden Twp., and Clifford J. Ulrich, III husband of Brianne L. (Dismuke), Hamburg. He is also survived by nine grandchildren: Dennis (DJ), Matt, Alysha, Brandea, Donielle, Josh, Anna, Damian, and Breanna; and five great-grandchildren: Brendan, Ashton, Jezzi, Emma, and Ian; and two sisters: Pat (Ulrich) Hoch, Hamburg, and Lynda (Ulrich) Shappell, Harrisburg. He was predeceased by a sister: Dawn Marie Ulrich; and five siblings: Laura (Ulrich) Weist, Harry Ulrich, Sandra (Ulrich) Long, Carlene Ulrich, and Ricky Ulrich. Services will be held Friday, October 13, 2017 at 2:00 pm from Leibensperger Funeral Homes, Inc., 223 Peach Street Leesport. Burial will follow in St. Luke's Cemetery, Shoemakersville. Viewings will be held Thursday, October 12 from 6:00 to 8:00 pm and Friday from 12:30 to 2:00 pm in the funeral home. Memorial Contributions may be sent to: Shoemakersville Fire Company, 300 Church Ave. Shoemakersville, PA 19555 or Northern Berks EMS P.O. Box 625 Leesport, PA 19533.